I'm just going to say it one more time. It's stinking HARD to take self portraits! I was done with this post a zillion years ago, but I couldn't put it up... because I had no pictures. 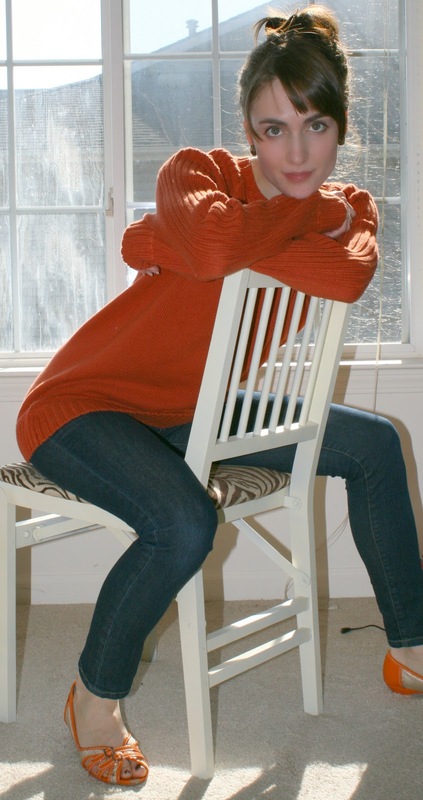 I have been trying for the last 2 hours to photograph myself in this sweater, and it isn't happening! So you'll have to accept that this is the best I can do. However, I have an idea for a realllyyy fun sweater refashion, so I'll ask John to photograph me for that one. Today is just a simple, easy update. 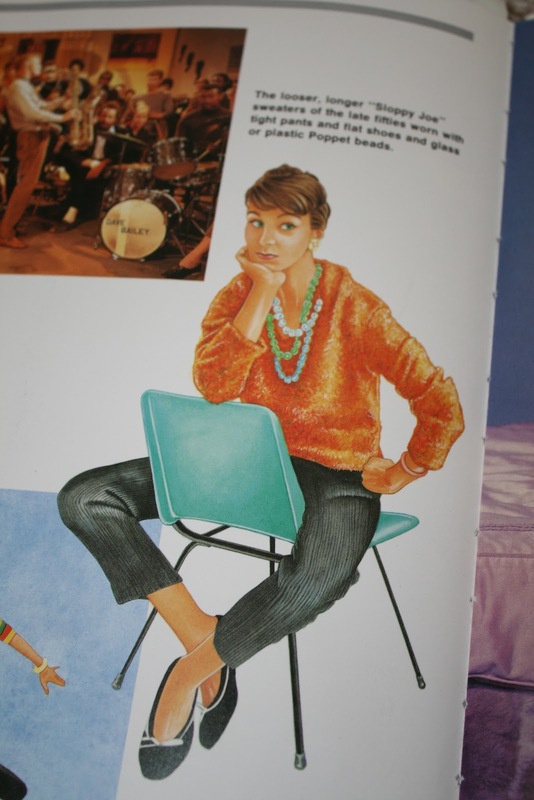 I was reading a book recently that explained how fashion changed dramatically in the 50's because of the wars. In the middle of it was a picture (illustration, rather) of a brunette wearing an outfit that I could be seen in any day of the week. I was so excited! I realized that I could have her *exact* sweater if I wanted it, too. And I did. John has this old sweater (men's xl- please read our "about" page so that you can understand how *not* xl John is) from AE that he hasn't worn once in the entire time I've known him. That, my friends, is a very long time. I decided that I would mess with this sweater a little bit to make it into the long, loose sweater worn by our paper model. I did make one adjustment, however. The sleeves are shortened in the illustration and I just couldn't bring myself to chop up such lovely, slouchy, comfy sleeves. So they remain intact. 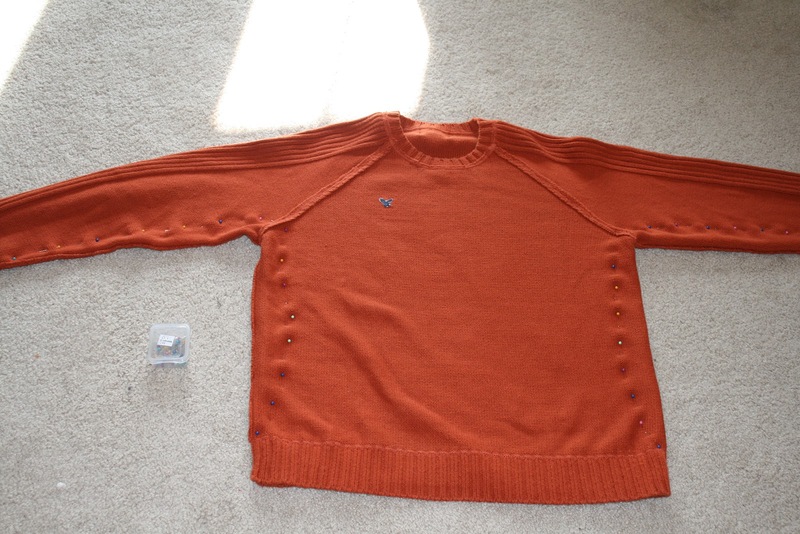 The next sweater I do will include some attachments and a cropped sleeve. It took me about 15 minutes to tailor the sweater and then another 3 hours to remove the eagle emblem embroidered on the chest. That eagle quickly became my nemesis. If the sweater you want to refashion includes embroidery, you can attack it like I did or take a safer route. If you're blessed with an abundance of patience, if you'll just go at it with a seam ripper (carefully) you can eventually remove the embroidery. If you want the safer route, just hot glue/sew on a button or other attachment over it. I wanted to use this fantastic patch from Vienna that my dear friend, Silvio, gave me years ago... but it didn't fit the feel of the sweater. (1) Lay it out. 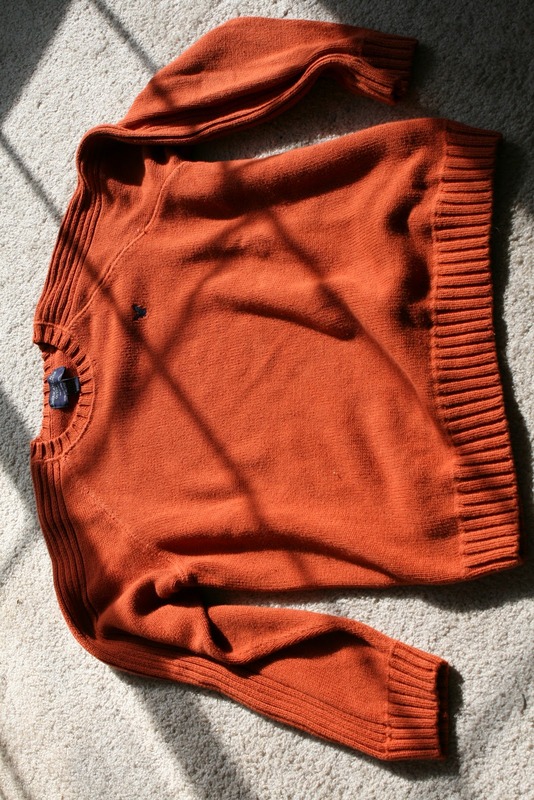 Try on your sweater and see what needs to happen. Does the collar need to be changed (CLICK HERE)? Do the sleeves need to be tighter? Does the hem need to come up? (2) Pin it up. 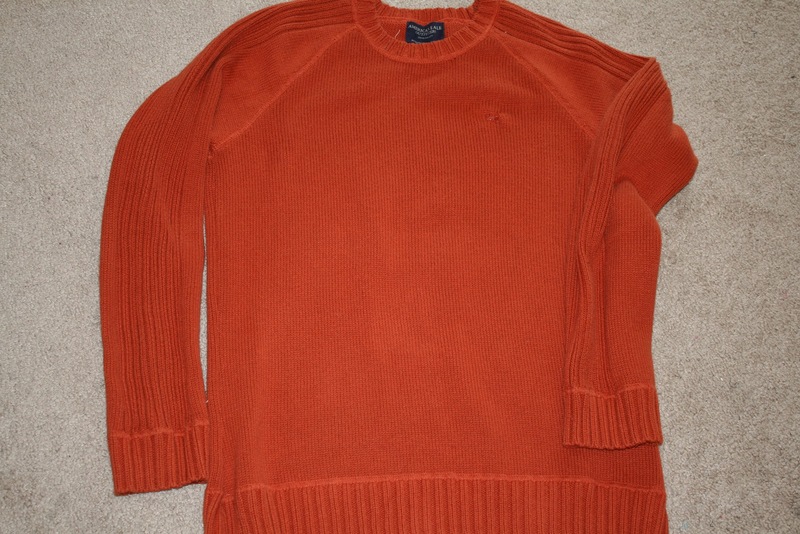 After you've assessed the situation, pin up your sweater. For this sweater, I left the neckline alone and only brought in the sleeves and sides. 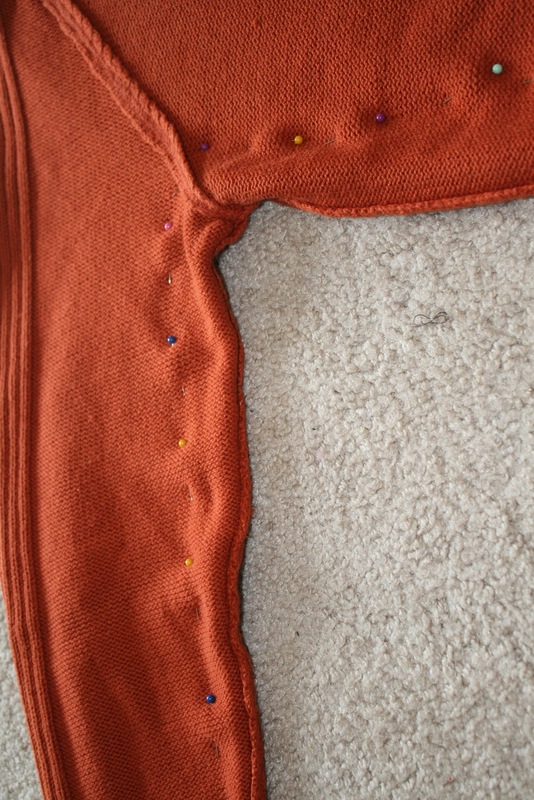 I literally made a line of pins starting at the bottom and going up around the under arm and down the sleeve. I like to pinch it in a little bit extra at the waist to create more feminine lines, despite the slouchy factor. (3) Sew it. Sew a nice, tight zig zag stitch all around. Be sure to secure it at the ends. (4) Cut it. Try it on and make sure it looks good. Then cut it. If you discover that you need more taken off, repeat steps two and three. It's easier to take more off than it is to add it back on. If you don't like how it looks, just cut the stitch and start again! 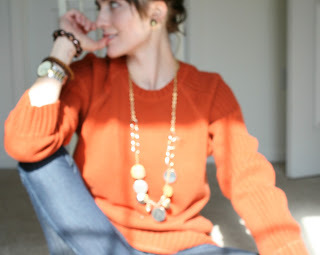 Go ahead and raid your boyfriend/husband/goodwill's closet and see what you can find! 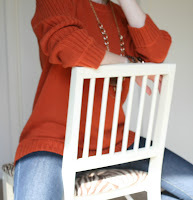 Slouchy sweaters are always in style during the warmer months and who wants to spend money when you can do it yourself?! That's all from me today, I am *rushing* out the door. No time to edit this bad boy, so forgive me for any errors you may see! Have a brilliant Thursday, and as always, thanks for reading! Awesome idea! Especially for someone like me that can't afford multiple $30 dollar sweaters! I'm def going to try!